Certified varieties of Canadian grown flax seed. Organic and conventional flax seed. Non-GMO, Clean Label, traceable seed. Our seed is rich in protein, Omega-3s, and ALA.
Prairie Tide can source any available variety of Canadian grown flax seed. We source directly from the best growers, and can provide both organic or conventional flaxseed. Our seed is Non-GMO, Clean Label seed that is traceable directly back to the grower. All seed provided by Prairie Tide undergoes rigorous analysis before it reaches our customers to ensure we are providing only the very best seed available. 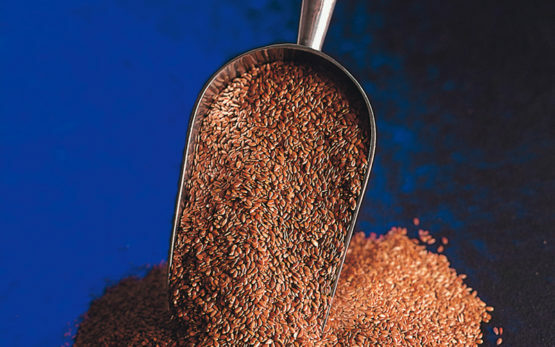 Our mandate is to provide the highest quality Canadian flaxseed. The Canadian Prairie farmlands and climate create the world’s best growing conditions for flaxseed. The result is seed rich in protein, omega-3 fatty acids, and alpha-linolenic fatty acid (ALA). If you would like to order a specific variety or quantity of flax seed, please contact us.